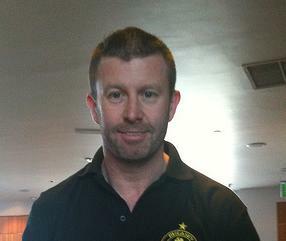 Craddock won the fans' player of the year award last season. Jody Craddock has signed a one-year contract extension. The 34-year-old told Wolves’ official website: “A couple of years ago I thought I might be dropping down the leagues but I’m still at Wolves and we’re still in the Premier League. Mick McCarthy told Wolves’ official website: “He’s one of those defenders that does exactly what it says on the tin, but above all he’s a top professional in the way he handles himself on and off the pitch. Craddock has been outstanding for Wolves this season and got my vote! Jody Craddock was named Wolves fans’ player of the year at the club’s end of season awards dinner in Telford last night. Craddock beat off competition from Kevin Doyle, Karl Henry and Marcus Hahnemann to win the award. 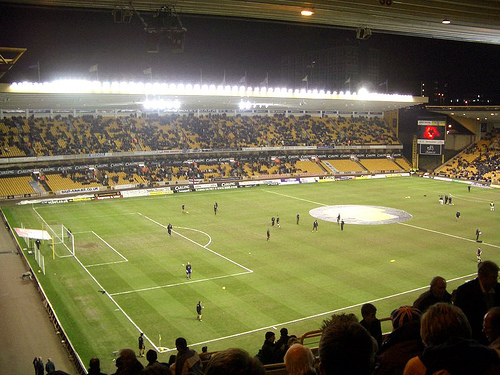 Wolves’ season ticket holders voted for the award at the home game against Blackburn. Champagne moment: Wolves’ 3-1 win at West Ham. *Wolves new away shirt for the 2010/11 season was also officially unveiled and you can see pictures of the new shirt here and here. 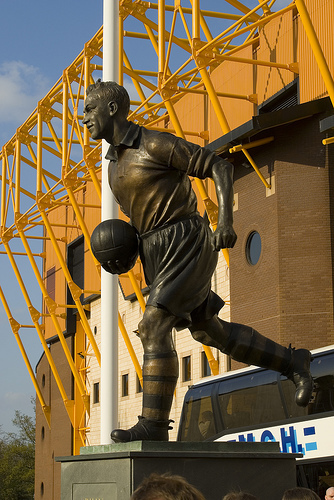 * Sportingbet.com have extended their sponsorship with Wolves by a further three years. In the last of this week’s look back at games involving Wolves and Stoke City we focus on the clash earlier this season at The Britt. 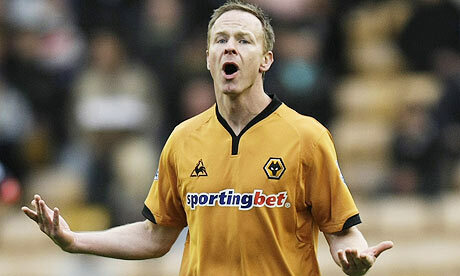 A Jody Craddock brace rescues the game for Wolves after going into half-time 2-0 down. 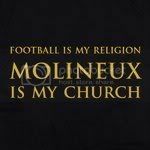 What do you think will happen at Molineux on Sunday? Leave your comments below. Craddock was loaned to Stoke City and looked set to leave Wolves last season before coming back and cementing his place in the team at Molineux. Wolves defender Jody Craddock has labelled Saturday’s narrow defeat to Champions League flops Arsenal as the “hardest defeat to take this season”. Craddock is set to make his 500th league appearance against former loan club Stoke City on Sunday but the defeat to the Gunners was a sickener for the 34-year-old. Craddock said: “It was bitterly disappointing – for me, it was the hardest defeat to take this season because we’d done so well. Yes, we were under the cosh and they’d had some chances, but we’d done brilliantly to hang on in there, especially with 10 men. “You get to 90 then almost 94 minutes and you think that should be the end of the game and we’d held them. So to lose it so late on was horrible. My verdict: It was horrible to see Wolves lost the game in that way but as Craddock points out the players have taken it on the chin and will get on with it. Let’s hope it’s the only time a late winning goal is conceded this season. *Sylvan Ebanks-Blake was on target for Wolves reserves in a 1-1 draw with Fulham last night. What do you think about Jody Craddock’s performance this season? Leave your thoughts and comments below!